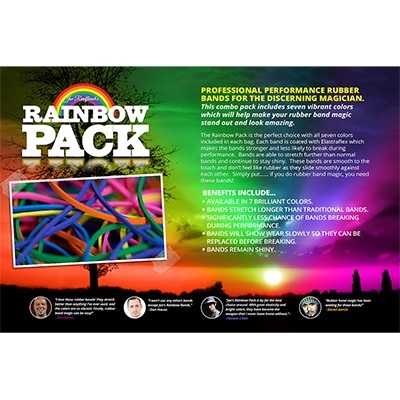 The Rainbow Pack is the perfect choice with all seven colors included in each bag. Each band is coated with Elastraflex which makes the bands stronger and less likely to break during performance. Bands are able to stretch further than normal bands and continue to stay shiny. These bands are smooth to the touch and don't feel like rubber as they slide smoothly against each other. 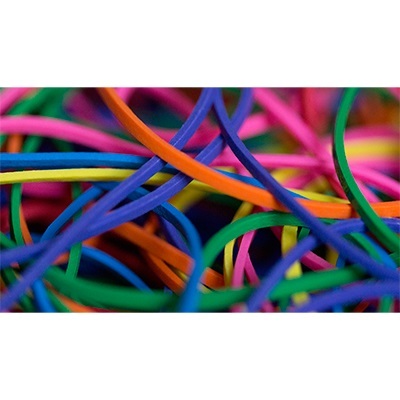 Simply put...... if you do rubber band magic, you need these bands! • Comes in 7 brilliant colors.